Singaporean industrial designer Olivia Lee founded her practice in 2013. Lee was named Young Woman Achiever 2018 by Singapore’s popular Her World magazine for demonstrating excellence in her field. 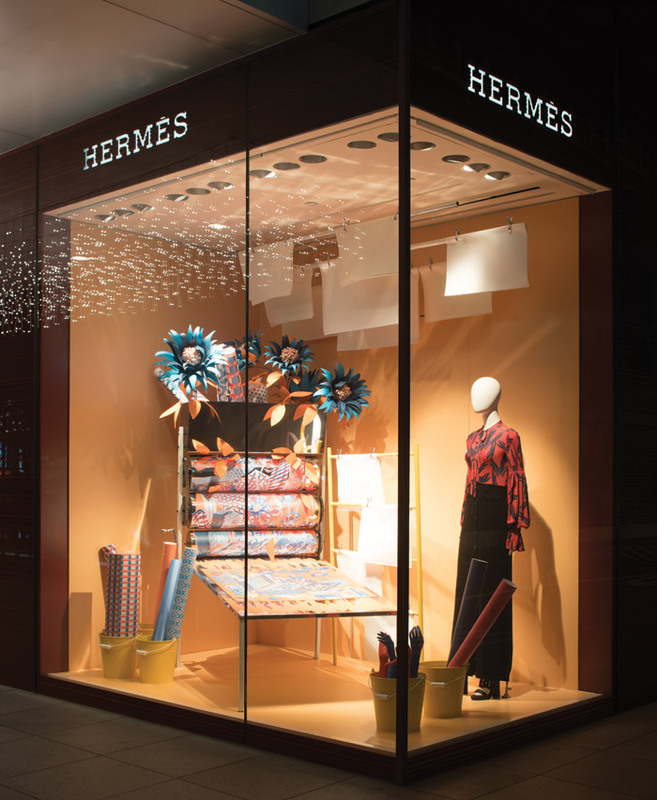 Lee cites exhibiting at Triennale di Milano and working with Hermès on its beloved window scenographies as career highlights to date. Growing up in Singapore, Lee was encouraged to choose between studying either arts or science but found this decision a difficult one to make. She persisted with a diversified educational focus comprising both practical and creative aspects, eventually finding industrial design that perfectly aligned her talents in a single discipline: ‘I finally found a vocation that balanced all my desires and interests’. 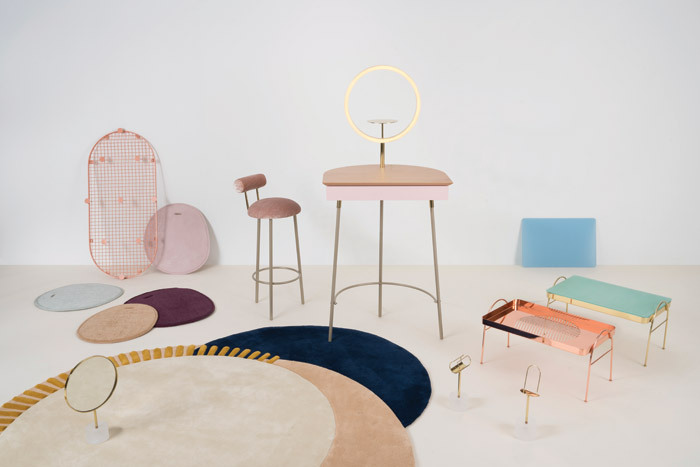 An ode to the contemporary woman, Athena is Lee’s first 10-piece collection to be featured at Milan Design Week. The collection imagines the Greek goddess of wisdom and war through the lens of the information age – by extension then, Athena as goddess of technology. The collection is a smart home concept that prioritises materiality and reimagines analogue objects for digital habits through simple design interventions. 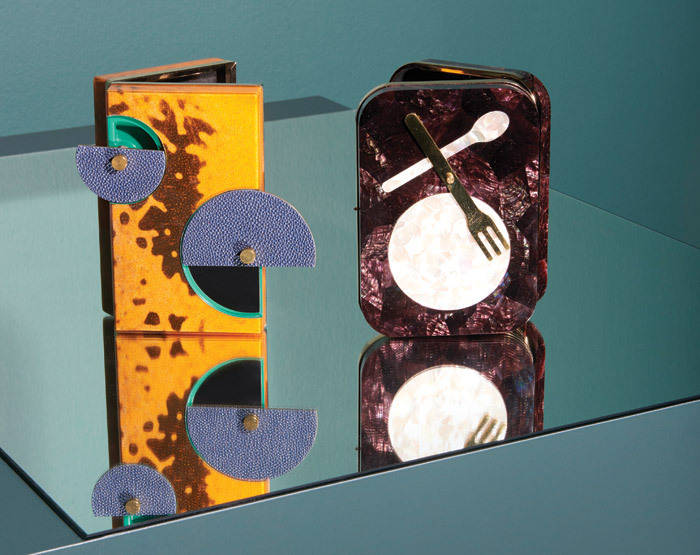 ‘The collection is a culmination of my ideas and values as a studio,’ says Lee. 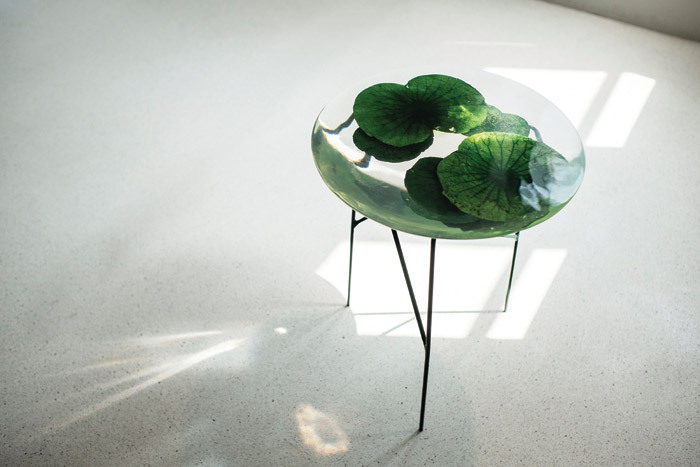 A coffee table designed to be an illusion piece for the home, Float’s trio of intertwining stems support a levitating lotus pond that acts as a plano-convex lens to create dazzling optical effects. Each table is unique, containing an arrangement of lotus leaves sourced from South East Asia. Float amalgamates colliding ideals for a new generation of Asians: the desire for traditional signifiers of peace, fortune and tranquillity as represented by nature (water, lotus and the belief in feng shui) and the reality of living in urban high-rise environments. Lee’s Museum of Wonders window display concept for Hermés creates a gallery of absurdist scenes retelling the story of modern inventions, placing the timeless designs of the luxury house at the epicentre of human ingenuity. The installation subverts conceptions of how things are made and acts as a love letter to the industrial revolution, history of craft and innovation.